With vehicle details so we can help ensure this part fits your vehicle - we aim to respond within 2 working hours. Same day dispatch if ordered before 3:30pm! 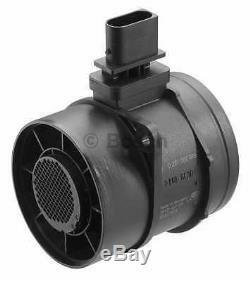 Air Mass Sensor 0281002896 Bosch. 000 094 32 48 0000943248 A 000 094 32 48 A0000943248. 2E0 906 461 C 2E0906461C. CHRYSLER 300 C (LX, LE) 3.0 CRD. CHRYSLER 300 C Touring (LX, LE) 3.0 CRD. JEEP COMMANDER (XK, XH) 3.0 CRD 4x4. JEEP GRAND CHEROKEE III (WH, WK) 3.0 CRD. JEEP GRAND CHEROKEE III (WH, WK) 3.0 CRD 4x4. MERCEDES-BENZ G-CLASS (W461) G 280 CDI 461.304, 461.346, 461.370, 461.334, 461.339... Engine Code: OM 642.884. MERCEDES-BENZ SPRINTER 3,5-t Box (906) 309 CDI (906.631, 906.633, 906.635, 906.637). MERCEDES-BENZ SPRINTER 3,5-t Box (906) 311 CDI (906.631, 906.633, 906.635, 906.637). MERCEDES-BENZ SPRINTER 3,5-t Box (906) 311 CDI 4x4 (906.631, 906.633, 906.635, 906.637). MERCEDES-BENZ SPRINTER 3,5-t Box (906) 313 CDI (906.631, 906.633, 906.635, 906.637). MERCEDES-BENZ SPRINTER 3,5-t Box (906) 315 CDI (906.631, 906.633, 906.635, 906.637). Engine Code: OM 646.990. MERCEDES-BENZ SPRINTER 3,5-t Box (906) 315 CDI 4x4 (906.631, 906.633, 906.635, 906.637). MERCEDES-BENZ SPRINTER 3,5-t Box (906) 318 CDI (906.631, 906.633, 906.635, 906.637). Engine Code: OM 642.992; Engine Code: OM 642.993; Model year to: 03/2009. MERCEDES-BENZ SPRINTER 3,5-t Box (906) 318 CDI 4x4 (906.631, 906.633, 906.635, 906.637). MERCEDES-BENZ SPRINTER 3,5-t Bus (906) 311 CDI (906.731, 906.733, 906.735). MERCEDES-BENZ SPRINTER 3,5-t Bus (906) 311 CDI 4x4 (906.731, 906.733, 906.735). MERCEDES-BENZ SPRINTER 3,5-t Bus (906) 315 CDI (906.731, 906.733, 906.735). MERCEDES-BENZ SPRINTER 3,5-t Bus (906) 315 CDI 4x4 (906.731, 906.733, 906.735). MERCEDES-BENZ SPRINTER 3,5-t Platform/Chassis (906) 315 CDI 906.131, 906.133, 906.135, 906.231, 906.233... MERCEDES-BENZ SPRINTER 3,5-t Platform/Chassis (906) 315 CDI 4x4 906.131, 906.133, 906.135, 906.231, 906.233... MERCEDES-BENZ SPRINTER 3,5-t Platform/Chassis (906) 318 CDI 906.131, 906.133, 906.135, 906.231, 906.233... MERCEDES-BENZ SPRINTER 3,5-t Platform/Chassis (906) 318 CDI 4x4 906.131, 906.133, 906.135, 906.231, 906.233... MERCEDES-BENZ SPRINTER 3-t Box (906) 209 CDI (906.611, 906.613). MERCEDES-BENZ SPRINTER 3-t Box (906) 211 CDI (906.611, 906.613). MERCEDES-BENZ SPRINTER 3-t Box (906) 213 CDI (906.611, 906.613). MERCEDES-BENZ SPRINTER 3-t Box (906) 215 CDI (906.611, 906.613). MERCEDES-BENZ SPRINTER 3-t Box (906) 218 CDI (906.611, 906.613). Engine Code: OM 642.992; Model year to: 03/2009. MERCEDES-BENZ SPRINTER 3-t Bus (906) 211 CDI (906.711, 906.713). MERCEDES-BENZ SPRINTER 3-t Bus (906) 215 CDI (906.711, 906.713). MERCEDES-BENZ SPRINTER 3-t Platform/Chassis (906) 209 CDI (906.111, 906.113, 906.211, 906.213). MERCEDES-BENZ SPRINTER 3-t Platform/Chassis (906) 211 CDI (906.111, 906.113, 906.211, 906.213). MERCEDES-BENZ SPRINTER 3-t Platform/Chassis (906) 213 CDI (906.111, 906.113, 906.211, 906.213). MERCEDES-BENZ SPRINTER 3-t Platform/Chassis (906) 215 CDI (906.111, 906.113, 906.211, 906.213). MERCEDES-BENZ SPRINTER 3-t Platform/Chassis (906) 218 CDI (906.111, 906.113, 906.211, 906.213). MERCEDES-BENZ SPRINTER 4,6-t Box (906) 411 CDI (906.653, 906.655, 906.657). MERCEDES-BENZ SPRINTER 4,6-t Box (906) 415 CDI (906.653, 906.655, 906.657). MERCEDES-BENZ SPRINTER 4,6-t Bus 415 CDI. Engine Code: OM 646.9... MERCEDES-BENZ SPRINTER 4,6-t Platform/Chassis (906) 411 CDI (906.153, 906.155, 906.253, 906.255). MERCEDES-BENZ SPRINTER 4,6-t Platform/Chassis (906) 415 CDI (906.153, 906.155, 906.253, 906.255). MERCEDES-BENZ SPRINTER 4,6-t Platform/Chassis (906) 418 CDI (906.153, 906.155, 906.253, 906.255). MERCEDES-BENZ SPRINTER 5-t Box (906) 509 CDI (906.653, 906.655, 906.657). MERCEDES-BENZ SPRINTER 5-t Box (906) 511 CDI (906.653, 906.655, 906.657). MERCEDES-BENZ SPRINTER 5-t Box (906) 511 CDI 4x4 (906.653, 906.655, 906.657). 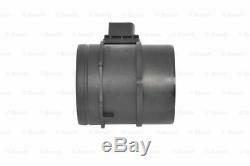 MERCEDES-BENZ SPRINTER 5-t Box (906) 515 CDI (906.653, 906.655, 906.657). MERCEDES-BENZ SPRINTER 5-t Box (906) 515 CDI 4x4 (906.653, 906.655, 906.657). 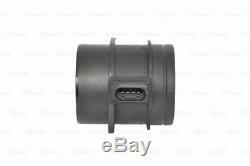 MERCEDES-BENZ SPRINTER 5-t Box (906) 518 CDI (906.653, 906.655, 906.657). MERCEDES-BENZ SPRINTER 5-t Box (906) 518 CDI 4x4 (906.653, 906.655, 906.657). MERCEDES-BENZ SPRINTER 5-t Platform/Chassis (906) 509 CDI (906.153, 906.155, 906.253, 906.255). MERCEDES-BENZ SPRINTER 5-t Platform/Chassis (906) 511 CDI (906.153, 906.155, 906.253, 906.255). MERCEDES-BENZ SPRINTER 5-t Platform/Chassis (906) 511 CDI 4x4 (906.155, 906.253, 906.255). MERCEDES-BENZ SPRINTER 5-t Platform/Chassis (906) 515 CDI (906.153, 906.155, 906.253, 906.255). MERCEDES-BENZ SPRINTER 5-t Platform/Chassis (906) 515 CDI 4x4 (906.153, 906.155, 906.253, 906.255). MERCEDES-BENZ SPRINTER 5-t Platform/Chassis (906) 518 CDI (906.153, 906.155, 906.253, 906.255). MERCEDES-BENZ SPRINTER 5-t Platform/Chassis (906) 518 CDI 4x4 (906.153, 906.155, 906.253, 906.255). MERCEDES-BENZ VIANO (W639) CDI 3.0 (639.811, 639.813, 639.815). Model year to: 08/2010; not for exhaust-emission standard: Euro 5; Chassis no. MERCEDES-BENZ VITO / MIXTO Box (W639) 120 CDI (639.601, 639.603, 639.605). Model year to: 07/2010; not for exhaust-emission standard: Euro 5; Chassis no. MERCEDES-BENZ VITO Bus (W639) 120 CDI (639.701, 639.703, 639.705). VW CRAFTER 30-35 Bus (2E_) 2.5 TDI. VW CRAFTER 30-50 Box (2E_) 2.5 TDI. VW CRAFTER 30-50 Platform/Chassis (2F_) 2.5 TDI. Bosch's portfolio of products is steeped in OE quality and provides one of the most comprehensive ranges of OE aftermarket parts, Bosch's continual investment in research and development allows it to be the worlds largest supplier of cutting edge automotive technology. 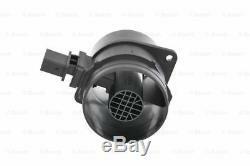 The item "Air Mass Sensor 0281002896 Bosch Flow Meter 53013673AA A0000943248 0000943248" is in sale since Tuesday, July 18, 2017. This item can be shipped to all countries in Europe, Antigua and barbuda, Australia, United States, Canada, Brazil, Japan, New Zealand, Hong Kong, Indonesia, Malaysia, Mexico, Singapore, South Korea, Taiwan, Thailand, Bangladesh, Belize, Bermuda, Bolivia, Barbados, Brunei darussalam, Cayman islands, Dominica, Ecuador, Egypt, Guadeloupe, Grenada, French guiana, Jordan, Cambodia, Saint kitts and nevis, Saint lucia, Sri lanka, Macao, Maldives, Montserrat, Martinique, Nicaragua, Oman, Pakistan, Peru, Paraguay, Reunion, Turks and caicos islands, Aruba, Saudi arabia, South africa, United arab emirates, Chile.